After a subscription campaign to raise money for a college library was begun in 1850, construction on Morgan Library started in 1852. Henry Sykes, who also designed the Octagon a number of years before, designed the building. Original construction was completed in 1853. 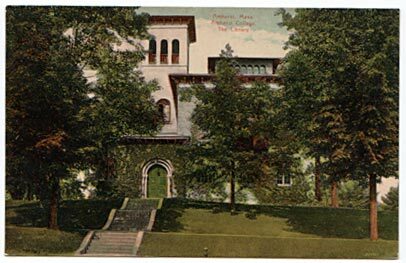 Converse in 1916, Morgan Library became Morgan Hall, home to a variety of departments including the Fine Arts Department, who called Morgan home until the construction of Mead in 1949. 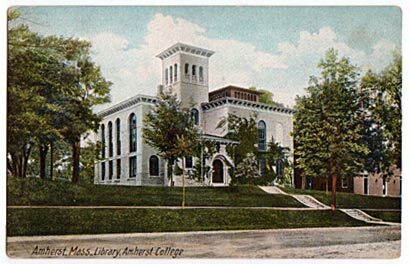 An addition was made in 1883, and James Kellum Smith designed a remodeling of the stack section of the library for use as a "clubroom for the Lord Jeffery Amherst Club" in 1935 (King, 313). The building is currently home to sociology and history department offices.